Servant leadership is the latest buzzword in management and business circles. However, servant leadership was practiced for thousands of years long before we had a technical name for it. We need look no further than the likes of Muhammad, Jesus, Ghandi, Mother Theresa and a host of others. Regardless of your religious views or personal opinions of these individuals, an unbiased study of their lives will reveal some of the most striking characteristics of servant leadership. Why is this important for entrepreneurs? Because your customers want to be served, not sold. Your teams want to be inspired and empowered, not preached to or bossed around. Following are 8 traits of the servant leader that all entrepreneurs should consider adopting. Have you ever felt in a conversation that the other person was merely waiting his or her turn to speak? This is the opposite of active listening. The servant leader not only listens to your words but pays close attention to your tone and body language. They look for the unspoken queues that tell the real story behind your communication. Sometimes you will see them lean forward and sit on the edge of their seats just to make sure they do not miss a thing. In that moment, you are all that matters to them and you feel it. Most importantly is why they do this, which brings me to the next trait. The servant leader attempts to "feel your pain"--to fully understand the situation from your perspective even if they do not fully agree. Then, before moving on they relay to you what they understand. If they find their understanding is incorrect, they close their mouth and go back to active listening. The self aware servant leader readily acknowledges his or her own weaknesses and vulnerabilities. Then works to improve them. The truly dynamic leader goes a step further by being on the look out for situations that bring these weaknesses to the surface. For example, if they know that certain situations annoy them, they remind themselves in the heat of battle to maintain control and to see the other person's point of view. Absent this exercise they may lose their cool in front of subordinates and undermine any credibility previously gained. Servant leaders are not authoritarian, using their positions to compel those whom they lead to follow their orders. Servant leaders have the ability to persuade and inspire their teams into action. The truly great leaders seldom feel the need to raise their voices or issue threats. In most cases, there simply is no need to do so. This is why chest beating and threats are unnecessary. The servant leader is a person of action. They have "been there" and have no problem going there again right along side the team. The servant leader does not require anyone to do anything they are not willing to do themselves or have not done already. This actually is a common trait in entrepreneurs, which is what makes us seem so strange to others. Servant leaders have the ability to see several moves ahead, often accurately predicting the outcome of situations. This is why persuasion is so important. Too often the vision is far outside of the "norm" or the obvious, so persuasion is necessary to get team members to venture into the realm of the unknown. Servant leaders view themselves as stewards of their organizations and their teams. They are constantly on the lookout for ways they can better serve without a desire for recognition or praise. Their focus is on building up people, not barking orders and asserting authority. Not only do they have no interest in control, but they look for ways to relinquish control to others through delegation. They empower team members with important responsibilities, give them the required tools for execution and then get out of the way. This allows team members to grow and mature and become effective leaders themselves. In sharp contrast, authoritarian, insecure leaders fear loss of control and power. They seldom surround themselves with people who openly challenge their ideas and assumptions. This creates a house of cards that falls apart once the central figure leaves the organization. Even worse is "pretending" to delegate, then undoing the efforts of the team for no other reason than "I am the leader." Over time, they simply create a stable of followers who are capable of taking orders and executing tasks but unable to do much else. 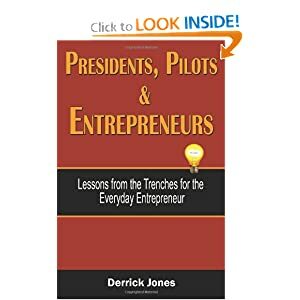 Entrepreneurs can gain a lot by adopting some of the traits of the servant leader--a more productive work life; more fulfilling personal relationships; a slew of loyal customers. Some traits are more difficult to master than others. So, start with one and work your way through the list.